With the help of our experienced procuring agents, we supply an extensive range of general industrial machinery. Designed using latest technology, these machines are acknowledged for their precise dimension, sturdy construction and better functionality. To suit the varied application requirements, these machines are available in different technical specifications. 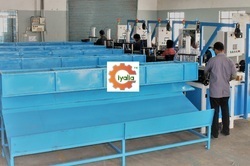 We offer Hydro Extractor of good quality. This tried and tested hydro extractor remove water from dyed fabric swiftly thoroughly and noiselessly with no damage what so ever. The complete extraction time for these hydro extractors machine is around seven minutes. 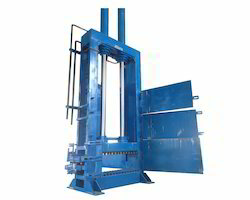 We offer a range of cotton bale press that are specifically designed to meet the requirements of textile industry. These are manufactured using premium grade material and are known for their optimum performance, reliability and longer functional life. Available in different specifications, these are also stringently tested to meet the prevalent industrial standards. We provide Wet Mill for Pharmaceutical Industry.